Salisbury: Salisbury Beach State Reservation lifeguards are used to wearing their bathing suits and frequent applications of sunscreen when on duty. 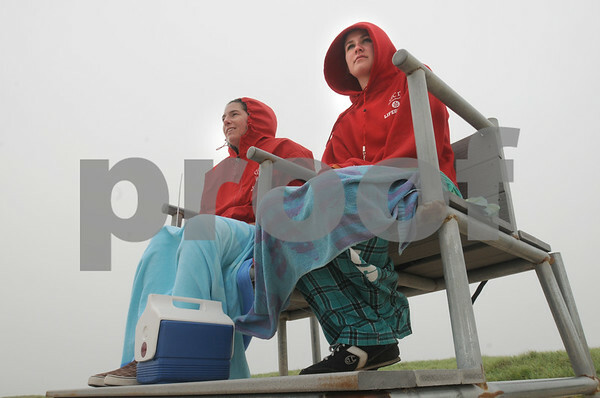 Lately, they've been dressing up to fight the cool air and wind like Maura Donovan, left, and Nikki Mazurenko, both of Haverhill. Bryan Eaton/Staff Photo Newburyport News Tuesday June 30, 2009.